This Solar Eclipse Is Twice as Strong! Use this powerful energy to reset your mind, body and soul. 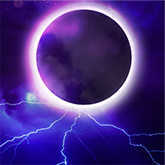 Tomorrow's New Moon is also a Solar Eclipse, which makes its energy twice as potent! This extraordinary event is happening in the intense sign of Scorpio, giving you the emotional strength to recharge your whole mind, body and soul. But you can't just show up unprepared! The Tree of Life Tarot reading was designed to reawaken and invigorate your awareness of big ideas. Derived from the Hebrew Kabala, this mystical spread uses 10 card positions to reveal your key energy centers within. It actually helps align your physical body with your trusted intuition, giving you the boost of balance and clarity you've been craving! Feel more alive than ever! A Tree of Life Tarot reading infuses you with the power of this Solar Eclipse. You can also get this reading at no cost when you use our TrialPay partner offer.